No significant delays were reported on Dublin's Quays on the first week day operation of new bus priority measures, according to the AA. 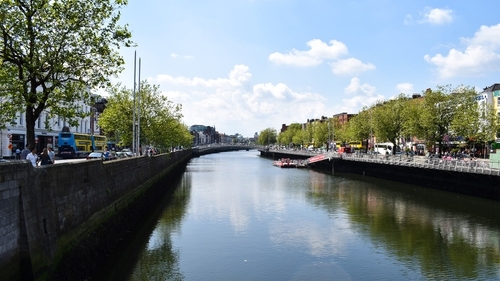 Sections of the north and south quays have been reduced to one lane for private cars, which are also prohibited from turning right from Bachelors Walk onto O'Connell Bridge. The city council said it wanted to introduce the permanent changes now so that they are in place for the introduction of the Luas Cross City in December. Testing and driver training are also due to start next month. The changes are also designed to ease delays for buses on Bachelors Walk, which has been the worst bottleneck in the city for public transport. Motorists travelling along the north quays from the west and north of the city will be the most affected today in what is the first real test of the changes. AA Roadwatch said traffic on the quays was "heavy but not exceptionally bad" at 8am. Dublin City Council said there was a 40% reduction in bus journey times as a result of the new priority measures on the north quays. Two lanes of traffic will be mostly reduced to one for cars from near the Four Courts. There will also be a traffic light 100 metres from O'Connell Bridge giving priority to buses. Cars will then only be allowed to travel straight ahead to Eden Quay or to turn left onto O'Connell Street. The city council had previously warned that there is likely to be congestion if the same number of motorists use the quays rather than taking orbital routes or switching to public transport. The changes have been condemned by the Irish Parking Association, while Dublin Chamber has urged the city council to be prepared to alter the plan if problems develop. However, the measures have been welcomed by Dublin Bus, which said they highlight the importance of buses in tackling congestion in the city.